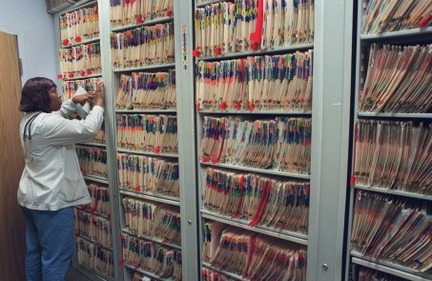 Converting medical records into images and indexed data for upload into an electronic document management systems is often a prelude to implementing full EHR document management. DocuWorks excels at medical records backfile conversion services and offers competetive pricing to assist in budgeting for these crucial services. DocuWorks medical records department provides accurate, high volume conversion from paper charts and files to digital images and indexed data.